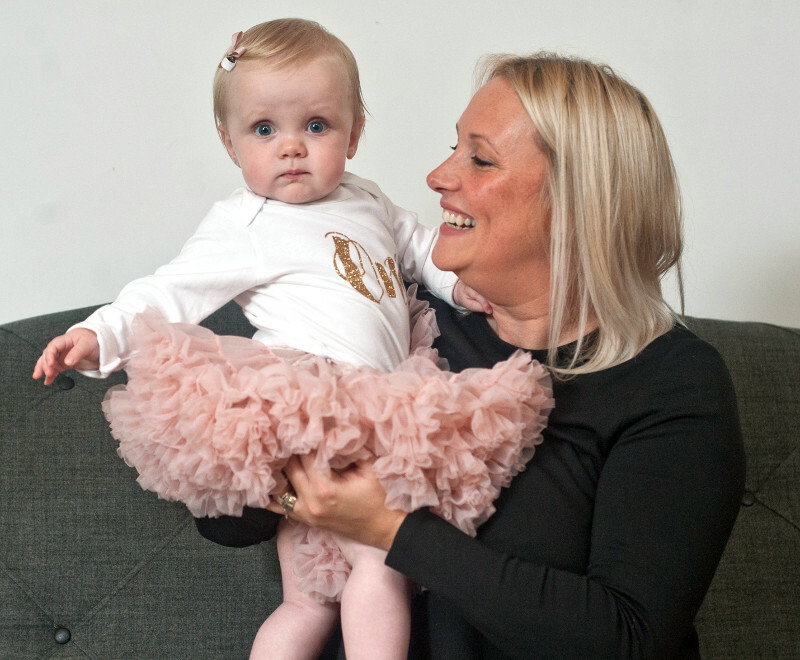 A Suffolk mum who gave birth to her daughters more than 20 years apart has spoken out about the pain of secondary infertility – a term used when someone has conceived and had a child without difficulty but is then unable to get pregnant or carry a baby to full term again. “It never occurred to me that I would have problems conceiving in my twenties after having an unplanned pregnancy in my teens,” says Joanne. Speaking ahead of Fertility Week, which runs from 29 October to 4 November, Joanne, now aged 39, encourages others to get advice as early as possible if they are struggling to conceive. “I met my husband 20 years ago when we were both 19 and I already had a young daughter, Chanelle, after falling pregnant when I was 16 and still at school,” reveals Joanne. She eventually went to see her GP for advice. Specialists at the James Paget Hospital put Joanne on an ovulation induction drug, clomid, for 10 months and conducted a series of tests on both her and Ian. The couple were told that they had ‘unexplained infertility’ and that their best chance of having a baby would be to have IVF treatment. A check-up with her GP a few months later for ovulation pain however brought with it some news she was not expecting. “My GP told me that the criteria for NHS funding had changed in our area of Suffolk and that if a couple were in a relationship in which they could not conceive, even if one of the partners already had a child from a previous relationship, they were eligible for NHS-funded IVF treatment. Joanne and Ian had IVF treatment at Bourn Hall Clinic in Wymondham, near Norwich, and were delighted when Joanne fell pregnant after their third cycle of treatment. 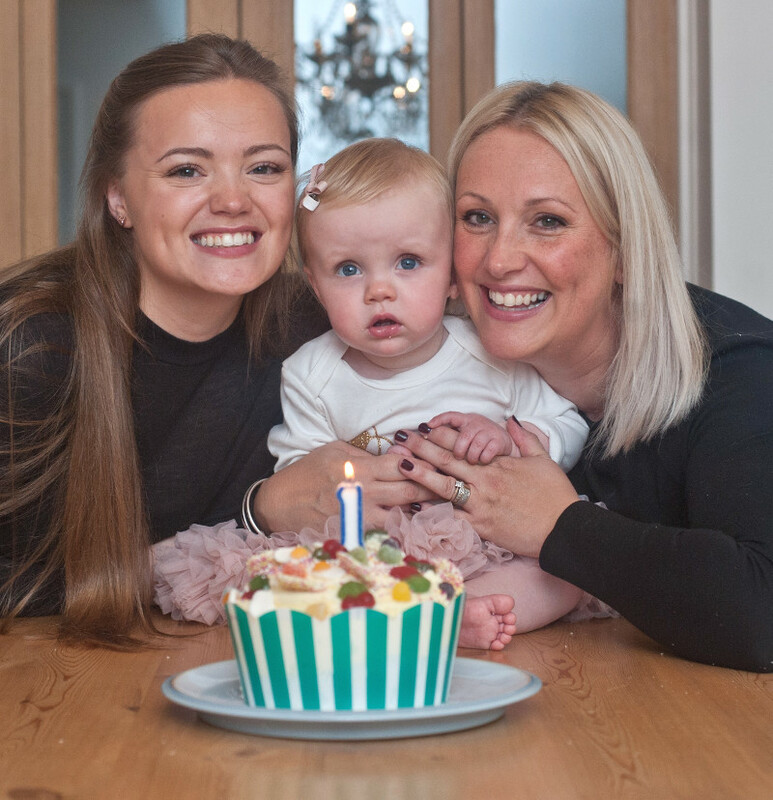 Daughter Edie was born on 30 October last year and her mum and dad and big sister Chanelle are looking forward to celebrating her first birthday later this month. “Edie is bubbly and chatty and full of life,” laughs Joanne. Chanelle is now 22 and studying for a degree at the University of East Anglia. “She is like a second mum to Edie,” says Joanne. Joanne urges anyone worried about their fertility, whether they already have a child or not, to seek advice sooner rather than later.